Catching our eye on the Harajuku street one late afternoon are Rikuro, Tomoki and Ken – a trio of teens sporting stylish menswear street fashion. 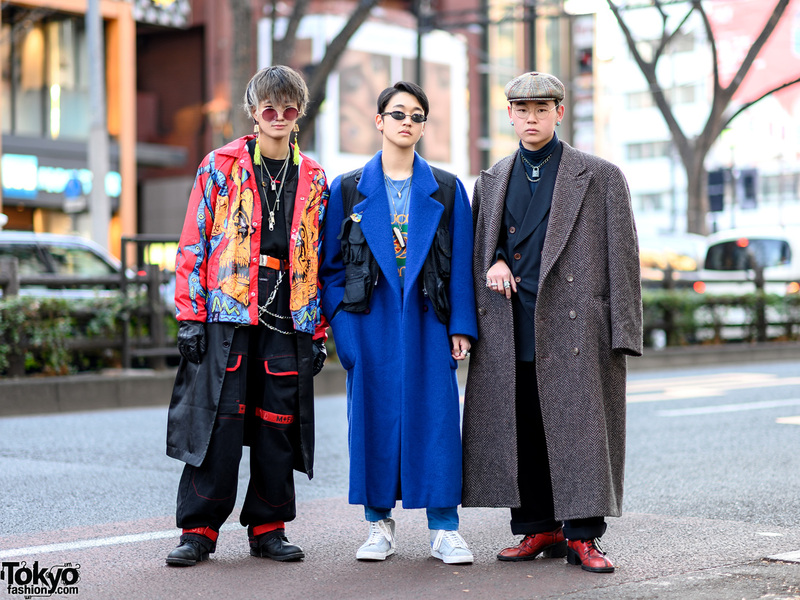 At the left we have Ken, an 18-year-old student sporting a messy ash brown hairstyle. 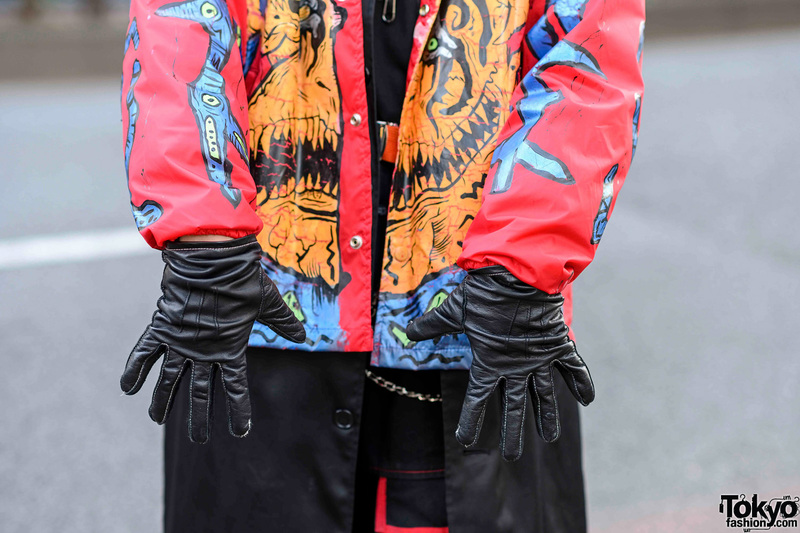 Ken’s ensemble consists of a remake red monster print jacket with snap button closures, which he wore over a black satin collarless coat and layered black tops from LHP. 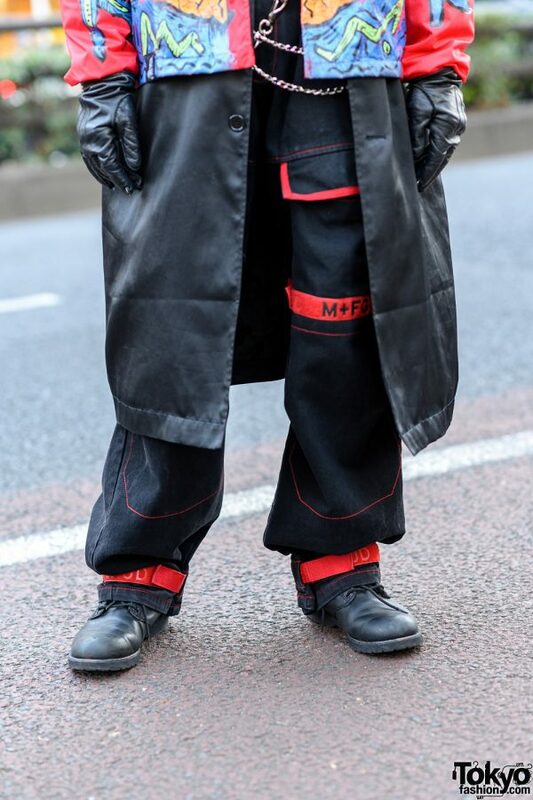 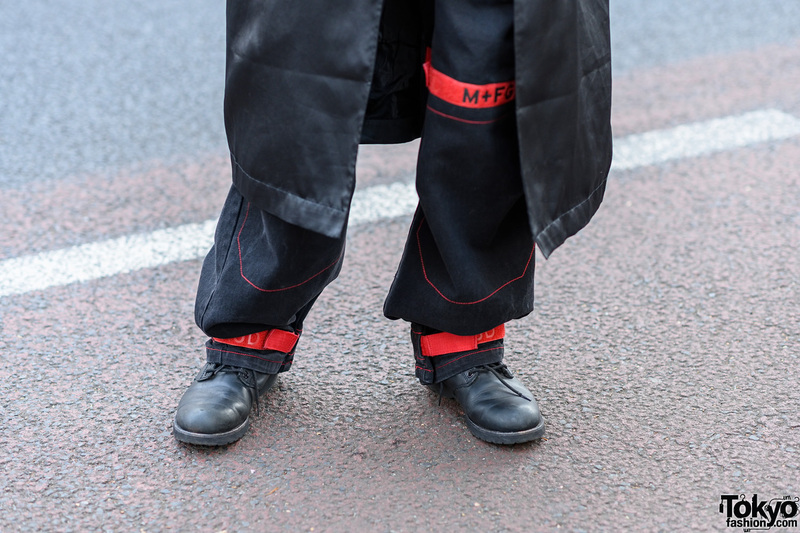 Black denim pants from Marithe + Francois Girbaud with red contrast stitching, straps and belted hems, and black leather lace-up shoes from Avirex completed his outfit. 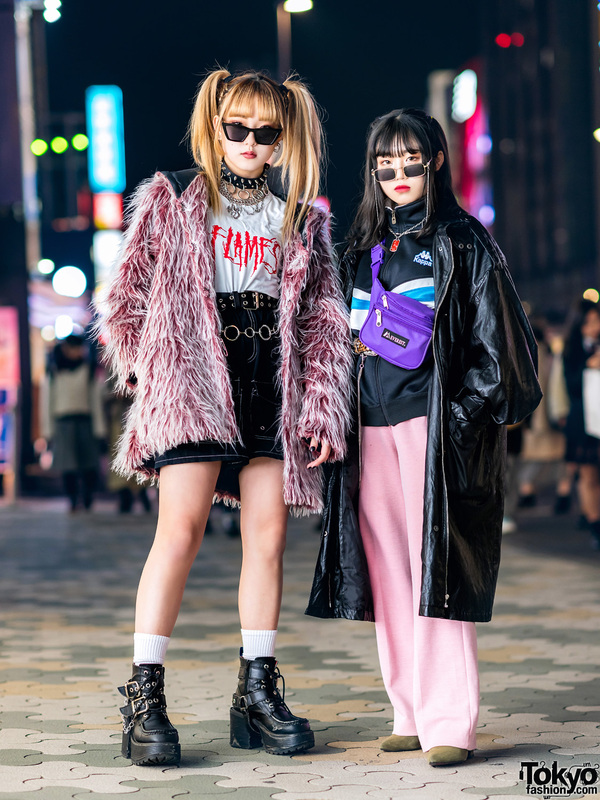 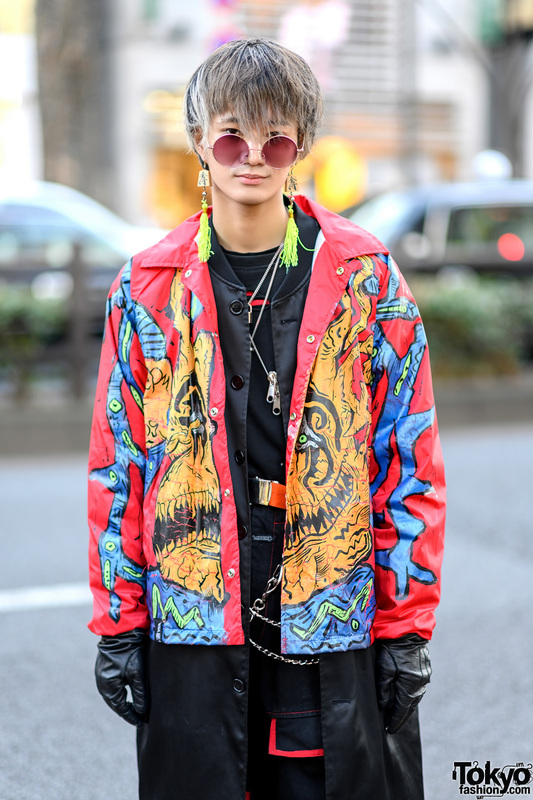 His accessories – mostly from AnkoROCK – include pink-tinted round sunglasses, yellow tassel earrings with mahjong tiles, layered lock, screw and zipper necklaces, a belt, silver chains and black leather gloves. 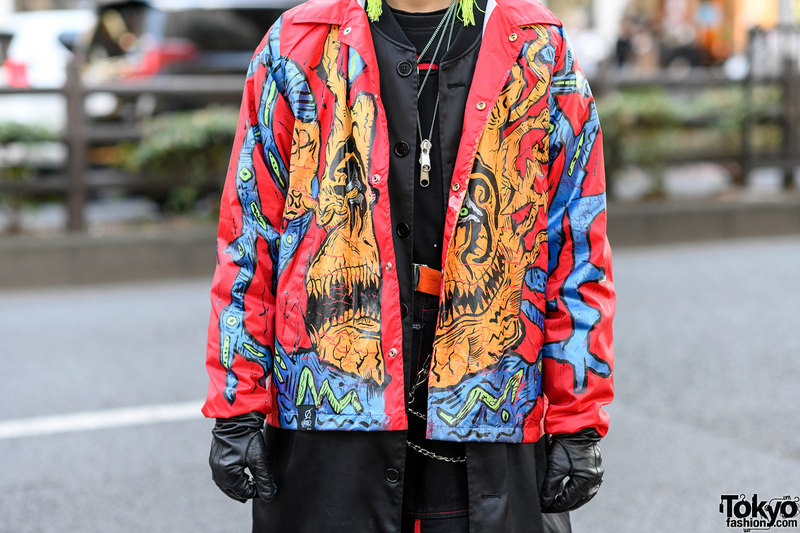 Ken enjoys the music of Lil Peep and Lil Xan, and he is active on Instagram. 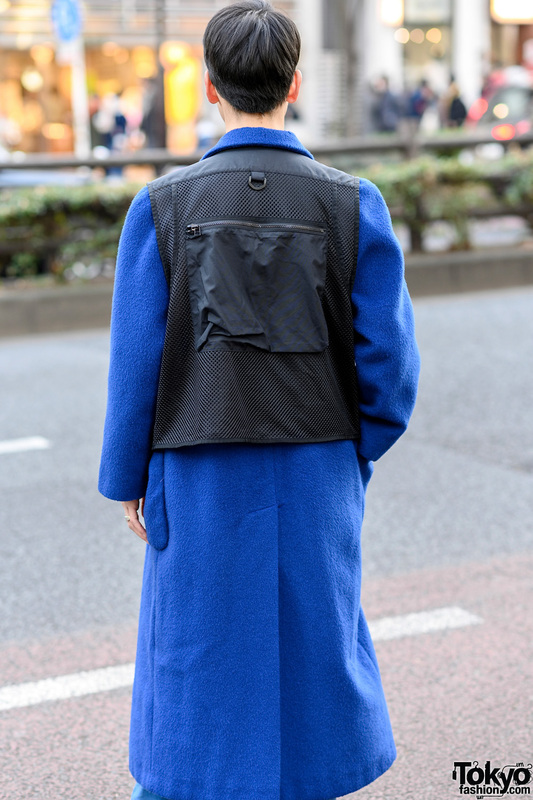 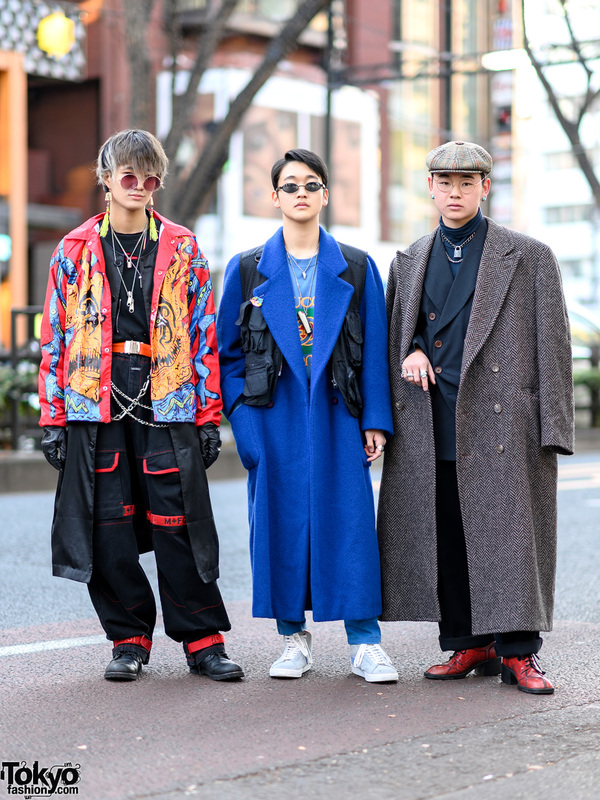 Tomoki – in the middle – is dressed in a black utility vest with mesh panels and multiple front pockets, a resale blue furry maxi coat, a blue bootleg Gucci printed shirt, and a pair of resale blue denim pants. 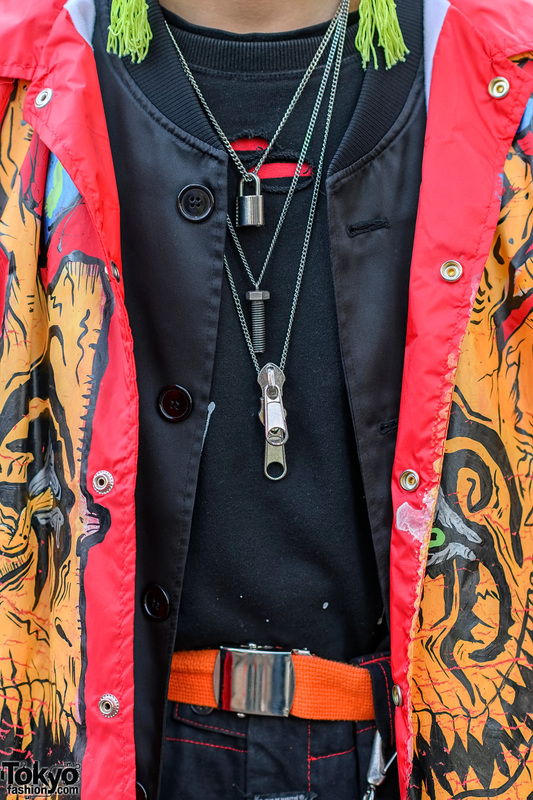 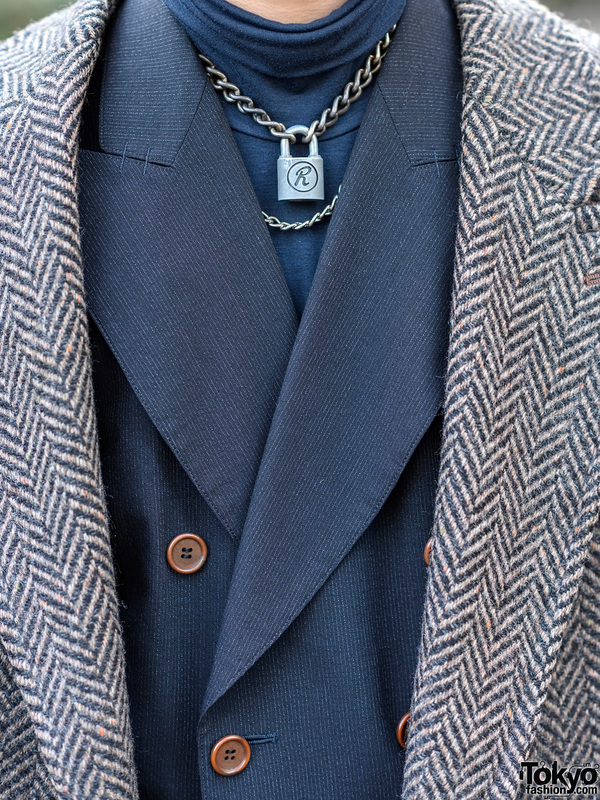 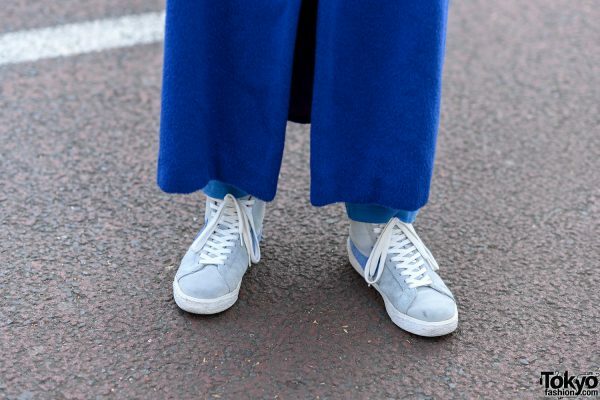 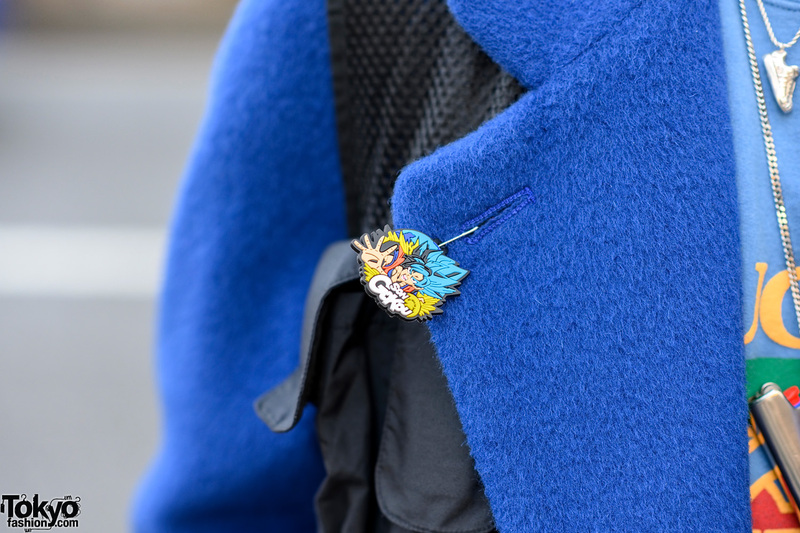 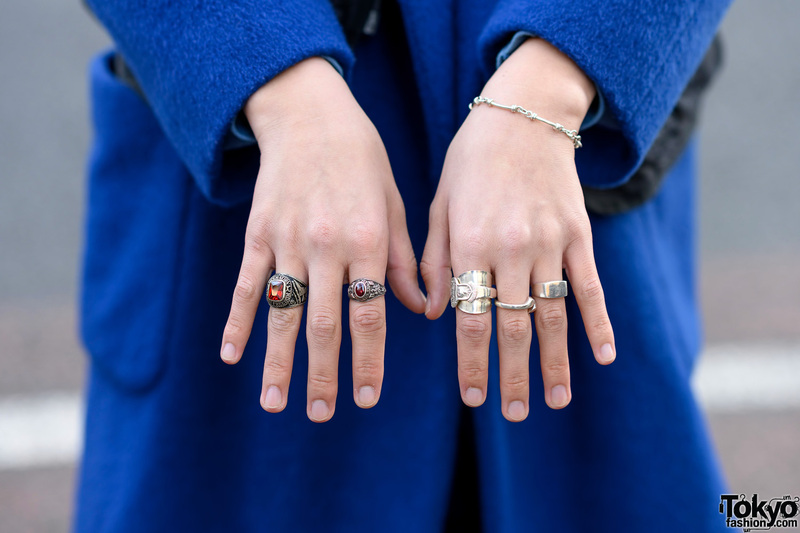 The 16-year-old student finished off his ensemble with an old pair of light blue Nike high top suede sneakers, black sunglasses, a sneaker pendant necklace layered with a lighter holder necklace, a Son Gokou badge pinned to his coat lapel, a silver bracelet, college rings and multiple silver knuckle rings. 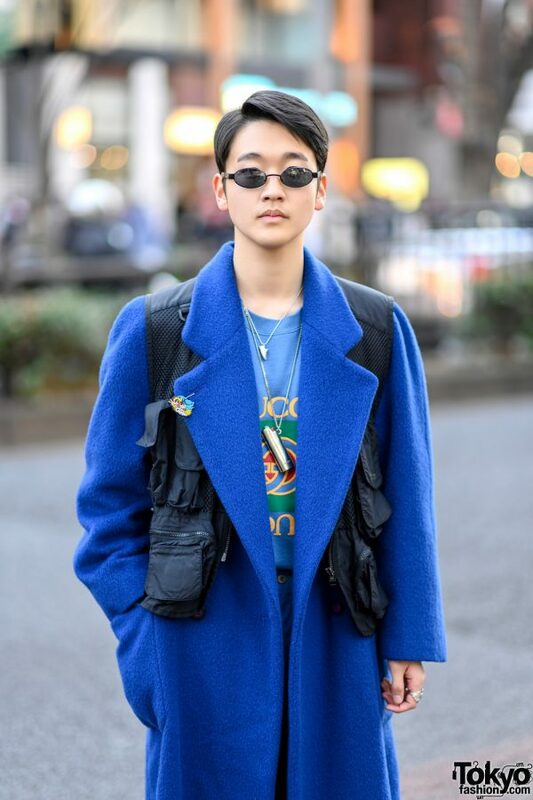 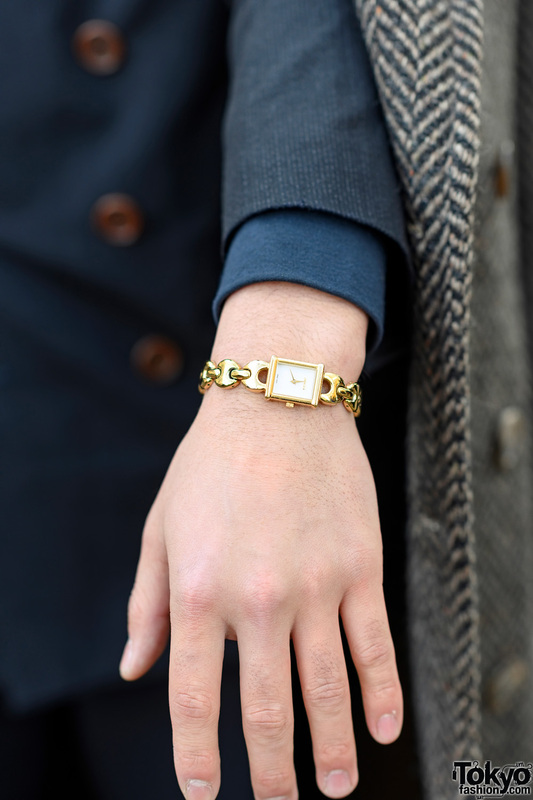 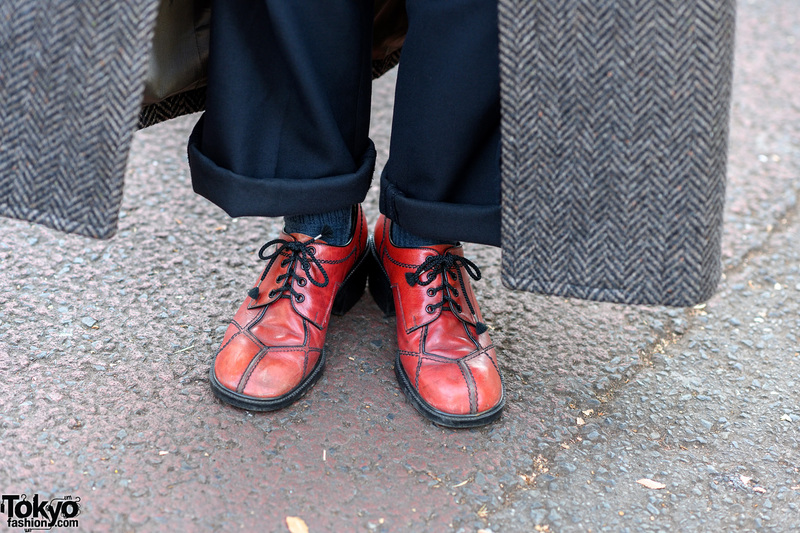 Tomoki loves to shop at Gucci and resale stores, and he is also active on Instagram. 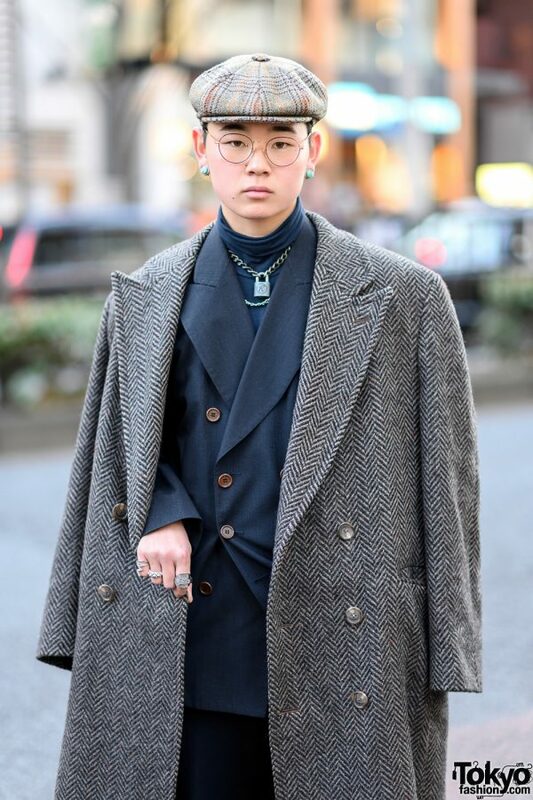 Meanwhile, Rikuro – a 19-year-old in Sales – stepped out in a chevron knit maxi coat, worn over a dark blue double-breasted blazer from Jean Paul Gaultier and a dark blue turtleneck top. 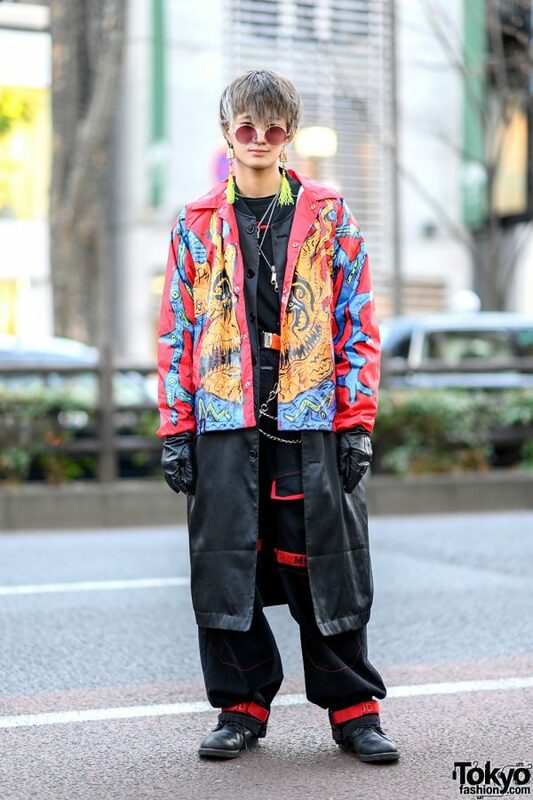 Black cuffed pants, red leather heeled boots with black contrast trims and laces, and accessories – some from Gucci – such as a plaid newsboy cap, round eyeglasses, turquoise gauged earrings, a silver lock necklace, a gold Rolex chain strap watch, and multiple silver knuckle rings rounded out Rikuro’s dapper style. 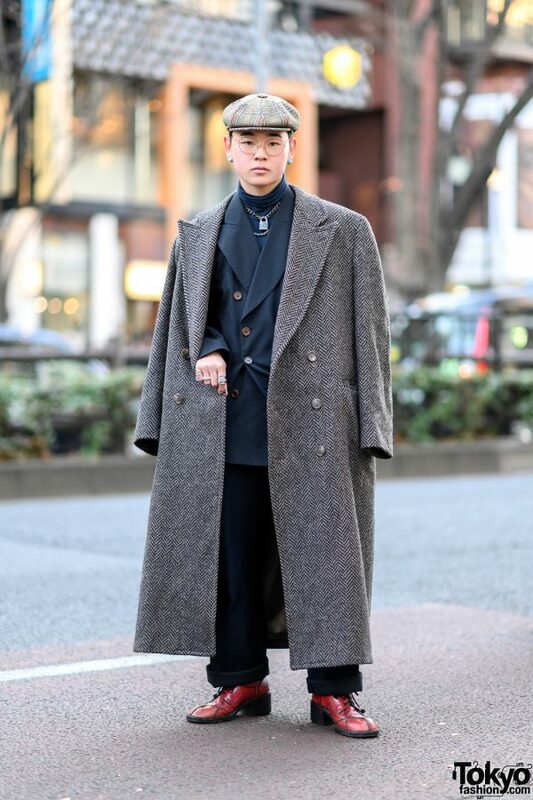 Check out Rikuro’s style feed on Instagram.